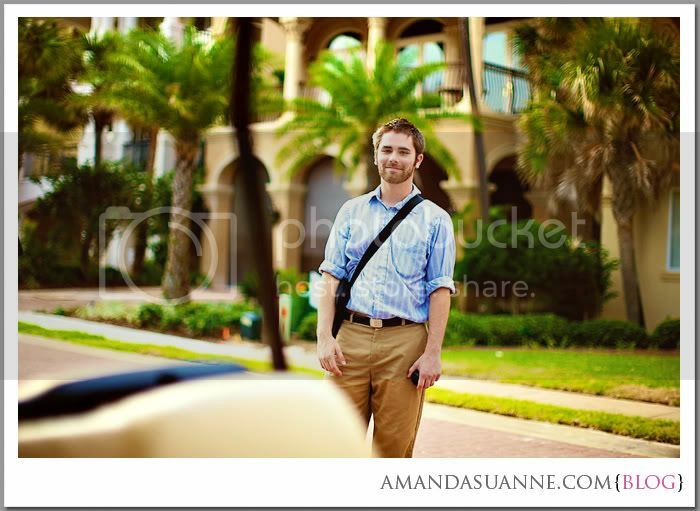 Amanda Suanne- Destin Wedding Photographer Photo Blog: Happy Birthday Josh!!!! Today is my sweet husbands birthday! This week has been a week FULL of Birthdays - as you can see below mine was Tuesday, and now today is his 24th birthday!! I am so excited about all the stuff I have planned to make his day special. If you have not met my husband, you should know that he is the sweetest, most humble and godly man I have ever met. I can't tell you how blessed I am to have found him. He is seriously one-in-trillion! Everyday I wake up so excited to see him, and so thankful that God brought us together! If you have booked a wedding with us, you have seen Josh running around making sure the day runs soothly for me, and also helps me shoot and design albums. I seriously do not know what I would do without him! Here is a picture of Josh at a beach wedding we shoot two weekends ago in Destin ... is he not adorable? The Braeden Family.... rather confusing lol ;). BTW I was home this weekend to shoot a maternity session and I didn't have your phone number- if you email me with it maybe we can get together the next time I am home in a couple weeks! Lauren: Yeah we should definitely get together next time you come down!! I will email you my number! Ohana: Thanks for the birthday wishes for my hubby! !